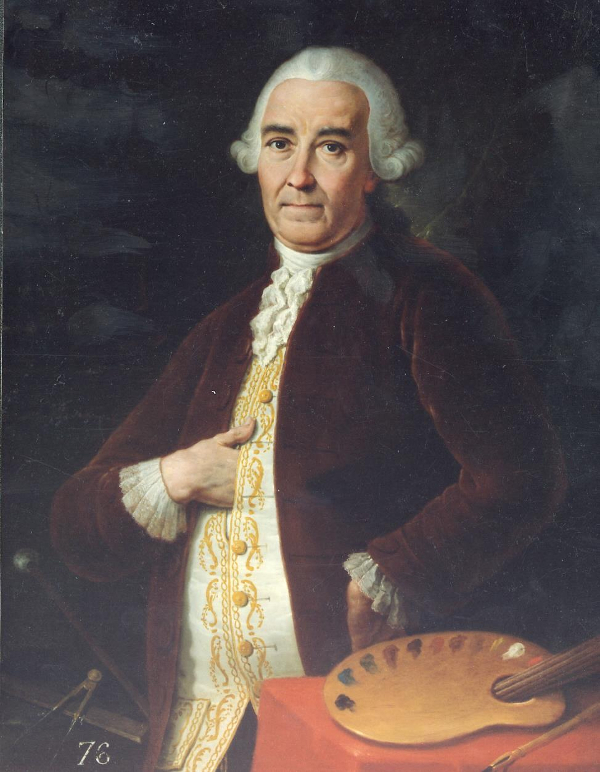 In 1754, a group of Valencian artists, assuming the spirit of the Enlightenment, decided to meet to create an Academy of Fine Arts, with the aim of systematising the teaching of the different disciplines that, until now, were still being developed in the workshops and workshops. Thus, they created an initial institution, which was called the Academy of Santa Barbara, in honor of Mrs. Barbara de Braganza, wife of King Fernando VI. This initial project had a very short life, since the needs for its maintenance could not be covered either by the local authorities or by civil society. A few years later, the same architects of the original idea, among whom were the painter José Vergara, and Ignacio, his brother, the sculptor, took up the initiative and turned to the newly created Royal Academy of San Fernando de Madrid, to obtain their support and mediation, so that King Carlos III could sanction some statutes that would allow them greater stability and promote their teaching usefulness. 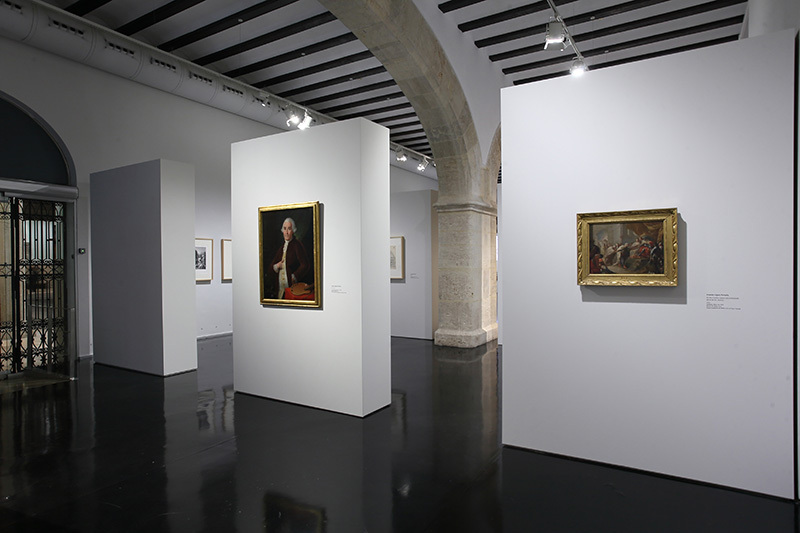 After lengthy negotiations, which included the approval of the suitability of the teaching staff, on 14 February 1768, the monarch approved the definitive creation of the Royal Academy of Fine Arts of San Carlos de Valencia, whose teaching spaces were located in this same building of the Universitat Estudi General, and in this same room, which since then has continued to be called "the Academy's". 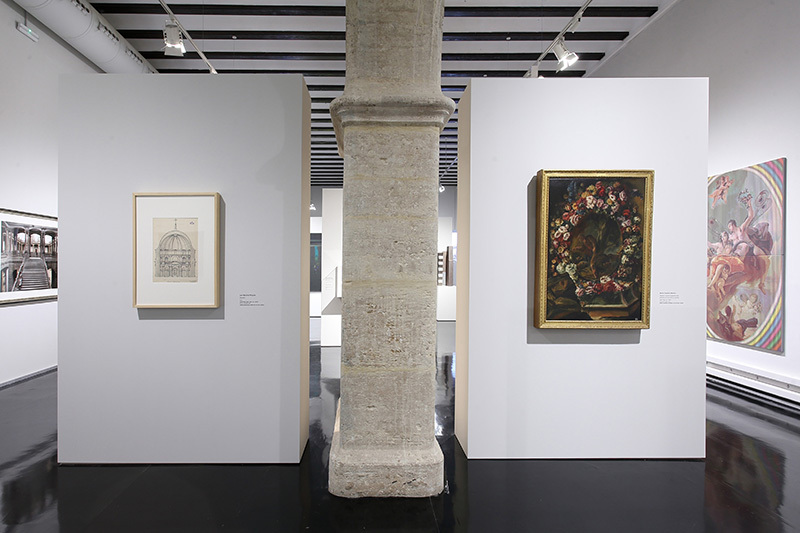 The teachings included various subjects, called "Minor Studies": "Principles and Stamps" or "First rudiments", and "Major": Painting, Sculpture, Engraving and Architecture, including since 1784 a new discipline "Drawings of Flowers and Ornaments applied to fabrics", aimed at making models for the silk industry, then of great importance to the Valencian economy, with the aim of avoiding the import of foreign models, allowing the consequent reduction of costs. 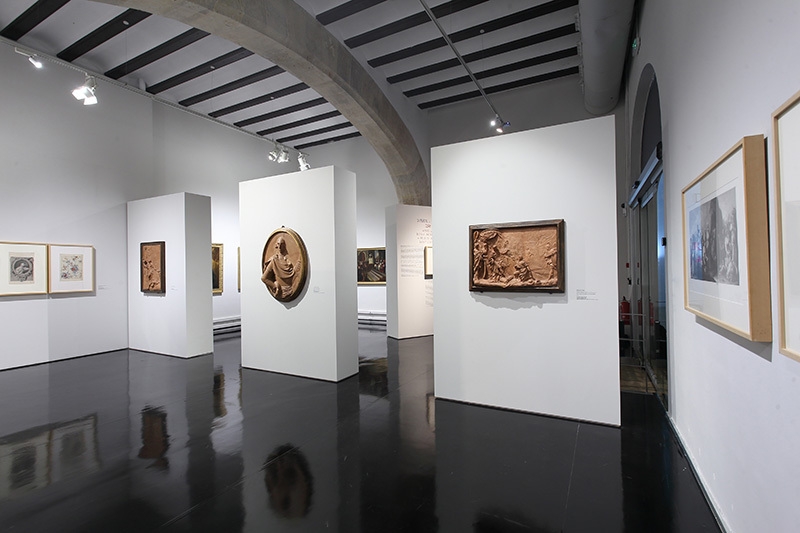 At the same time, the new Institution was accumulating an extensive artistic heritage, coming both from the works of its professors and students and from the donations of the Valencians, who found in it the ideal space to safeguard their works. 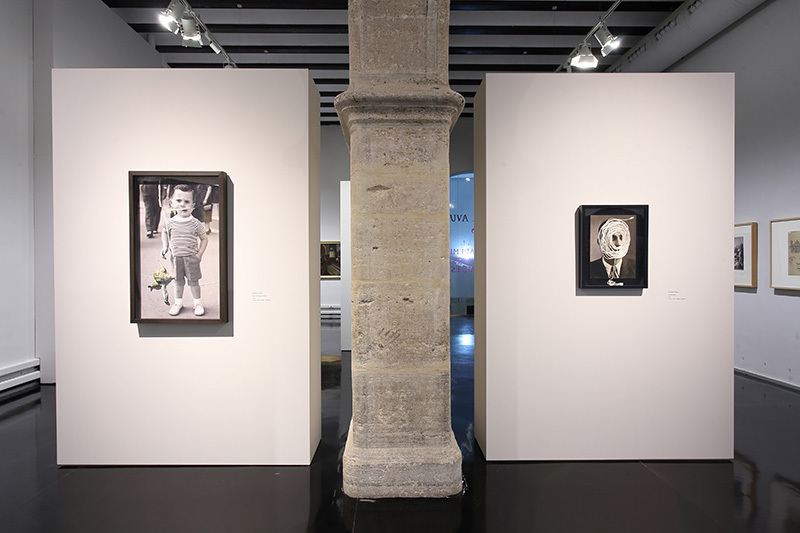 A few years later, the Academy began to hold the first public exhibitions of fine arts in this same place (La Nau), with such notable success, that long lines were formed for its access, forcing its regulation by the urban militia. 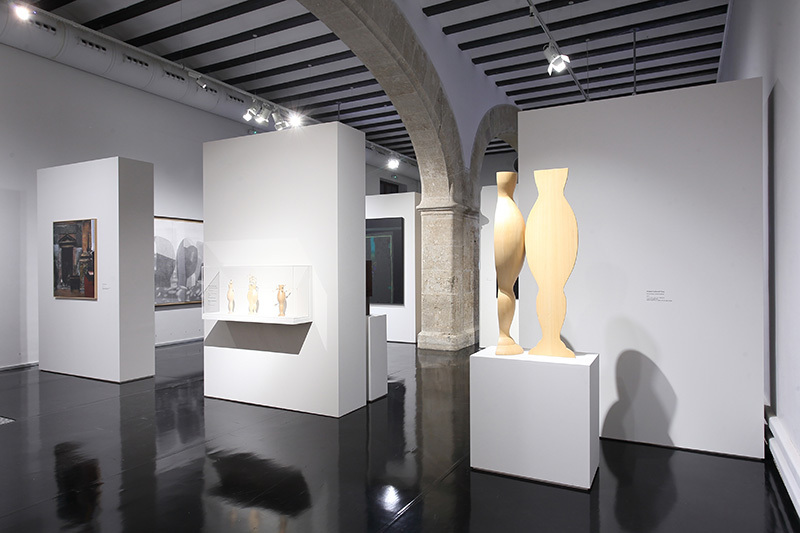 It was therefore, fortunately, an inevitable proposal, that after having recently signed a Framework Agreement for collaboration with the University of Valencia, on the occasion of its two hundred and fiftieth anniversary, the first biennial exhibition of the Royal Academy was held here (Sala Acadèmia), both in homage to the spirit and work of its founders, and showing evidence of its survival as an institution of great utility for Valencian society in the 21st century. Hence its title: "From yesterday to today, 250 years of the Royal Academy of Fine Arts of San Carlos”. 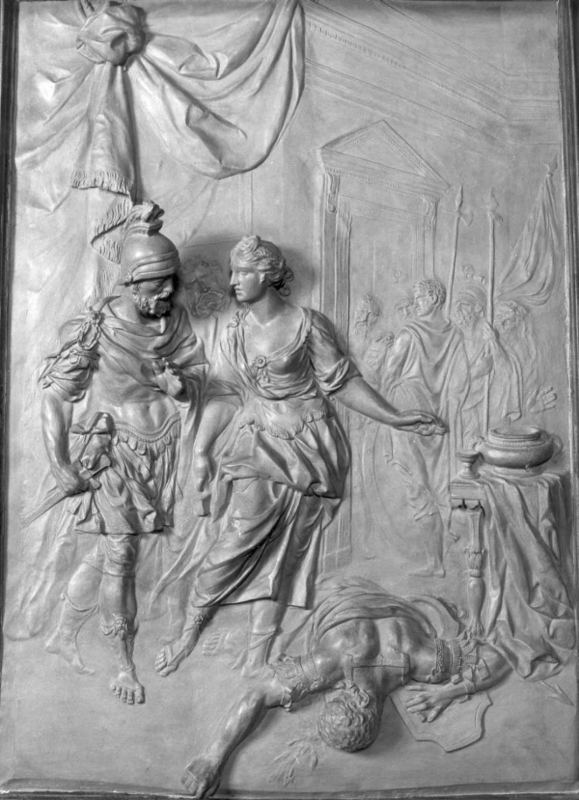 The masters who made it up in the 18th century, seeking greater modernity, gave way to an early Rococo period (Ignacio Vergara was the author of the façade of the Palace of the Marquis of Dos Aguas) to assume Illustrated Academicism and, precisely because of this, the first part of the exhibition that we present includes works typical of this creative conceptual tendency, in which order and reason are distanced from the preceding post-baroque hyperbole, both in Painting and in Architecture, Sculpture and Engraving. But we have also included brief but valuable examples of the "Painting of flowers", which, as we mentioned earlier, was aimed at industrial production, so that with a small but very significant number of pieces, visitors can acquire direct information about the period. 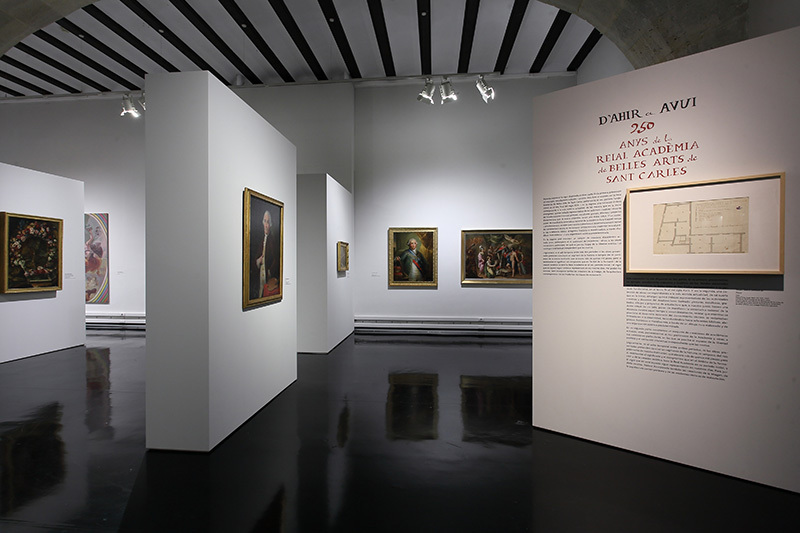 Among them, we must highlight the "Self-Portrait" by José Vergara, undoubtedly the most important author of frescoes of the period, and the first director of the painting subject of the Academy, and two very relevant works by Vicente López, one of the most outstanding academicists in Spain. 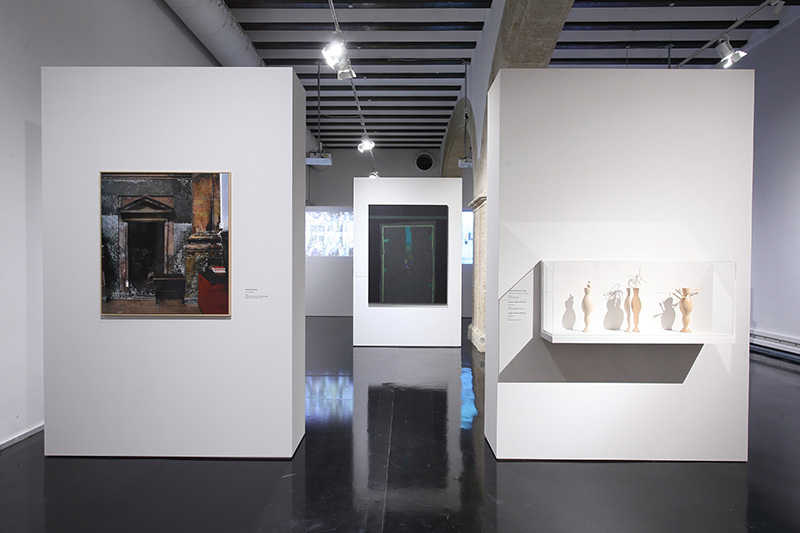 In the second, more extensive part, we have incorporated a selection of works by current academics, including painting, sculpture, photography, architecture and restoration. 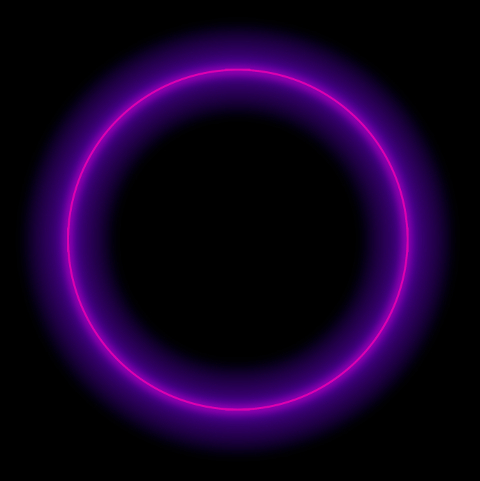 Showing the survival of its creative capacity, and its participation, very important, in the discourse of strictly contemporary modernity. A qualitative leap, consciously elaborated, that proposes to highlight the persistence of the participation of an Institution that has just completed its two and a half centuries of service to Valencian society. In successive biennials, we plan to show, in this same area, a careful selection of the more than 15,000 pieces that make up the heritage. 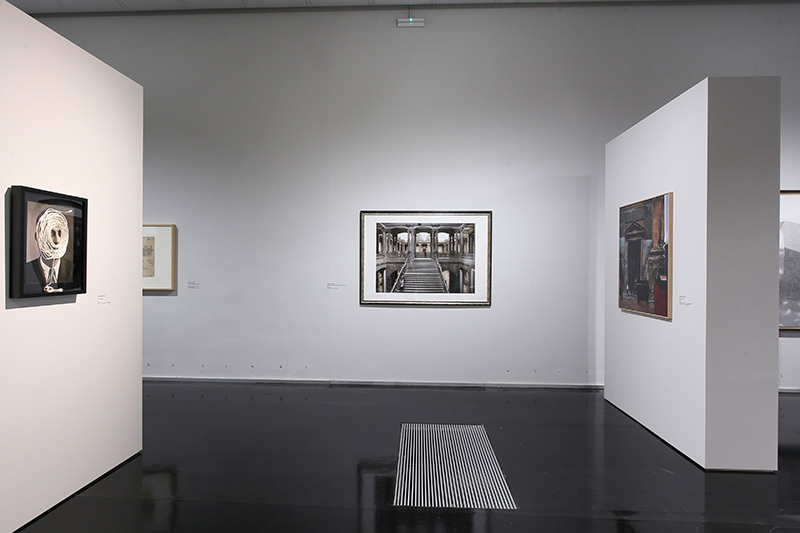 The Architecture Section of the Real Academia de San Carlos is constituted by seven members, two of whom are renowned highly specialised art historians: Salvador Aldana and Joaquín Bérchez. 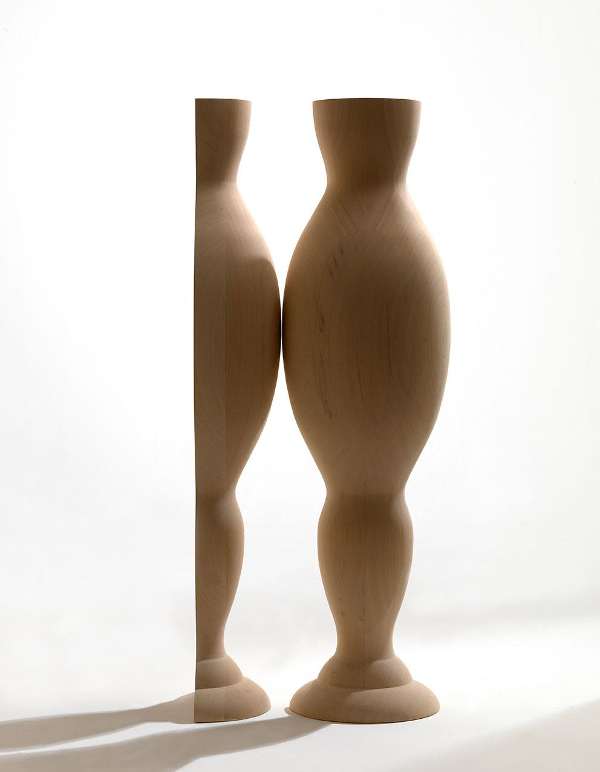 The other five, according with the regulations, must be specially renowned architects in their career. 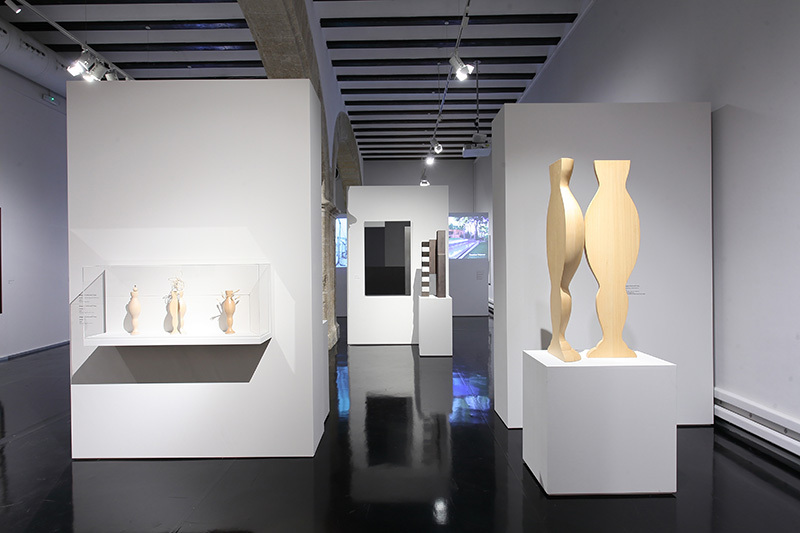 Examples of the work of the Section’s architects are on the video for the exhibition, created on the occasion of the 250th anniversary of this academy. Unfortunately, scholar Antonio Escario Martínez died a few months after the video was recorded. The sequence will be according the seniority in the academy. This exhibition, as said, is small, even though the full CV of the architects are available to everyone on the institution’s webpage. 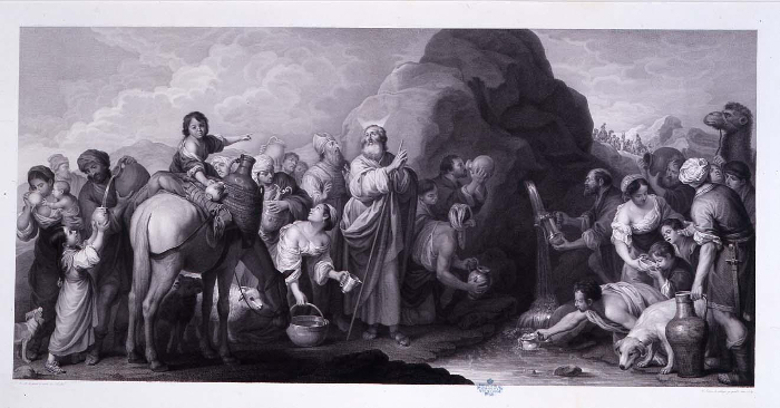 He’s showing one of his first works, the Iglesia del Teologado de los dominicos de Torrent (València). This work was done following the guideline of modernity and thus the spatial structure of its canopies stands out. The building celebrates now its 50th anniversary and is conserved perfectly. The renovation of the old convent of Charles Borromeo is one of his last restorations. 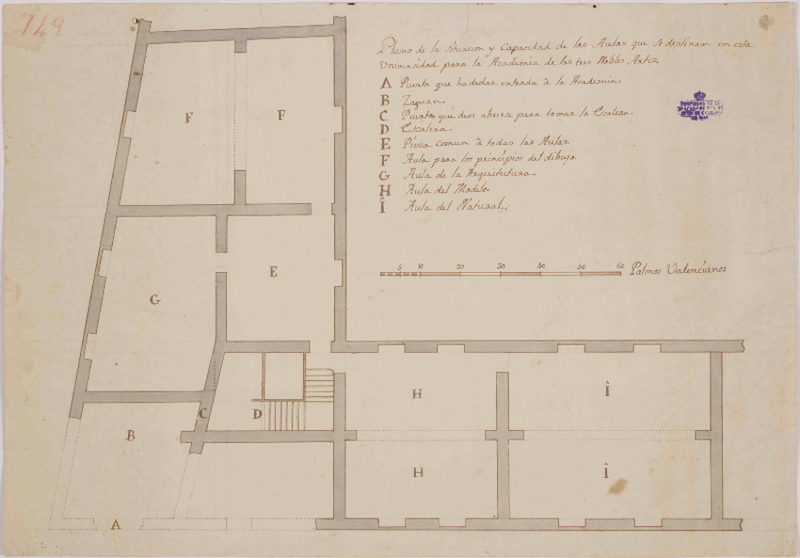 Thus, he adapted the structures of the convent in order to create the new Office of the Principal of the Catholic University of Valencia and he connected another building for the Faculty of Medicine in the space that was created after the rear of the convent was demolished. He shows a red single family home in La Canyada (Paterna), with a functional difference between the night and day zones, with a bare and rational language. This work was selected for the Architecture Awards od COACV, 1989. 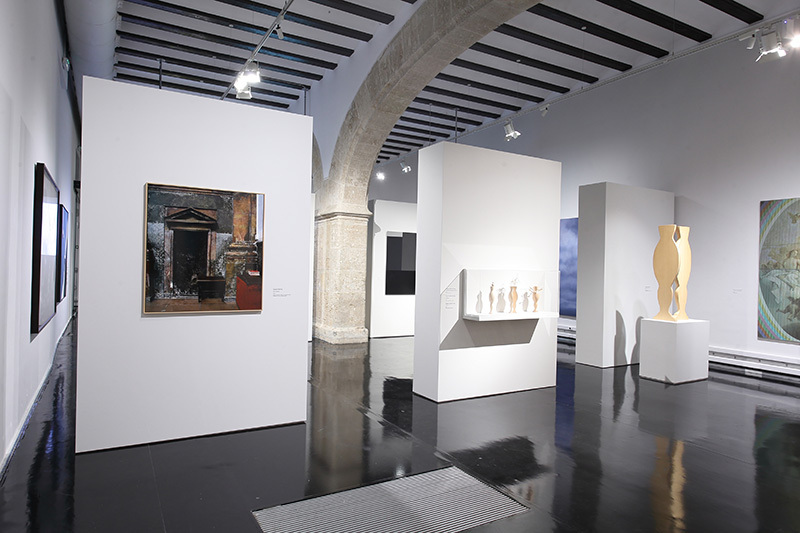 The church of the old Franciscan convent of Benicarló (Castelló), with a complex intervention on the paintings, means the end of the convent’s restoration after 20 years of projects. It has been used as a museum since 2005. From his perspective as an architect inspector of heritage, he shows a video of the roof paintings of the parochial church of Vallibona (Castelló). This is a unique example of the medieval decoration of a church with diaphragm arches and wooden cover. Its pictures are one of the many hidden works of difficult access and study in our region. This video was made in collaboration with Carlos Martínez and has images of Fernando Vegas-Camila Mileto. His first work, the chapel of St. Philip Neri in Albacete (1963), is a unique example of a religious building with fine volumetrics. With a thoroughly planned study of its lighting entries and an effective combination of wood and stone it achieves a space that was exhibited in the Spanish Pavilion of the 14th Biennial Fair of Architecture of Venice in 2014 because of its undoubted value. With the Ripalda Tower he carried out a difficult work because of the substitution of the Palau de Ripalda in València, which was in one of the most renowned landmarks of the city. He carried it out with an outstanding expressive expertise despite its importance. Horizontal stripes, wide open terraces towards the city, axial organisation towards the Pont de la Mar, hallways, woodworks.. All that transmits the aura of an architect that collaborated with J.A. Vidal and J. Vives and left a legacy of great interest. 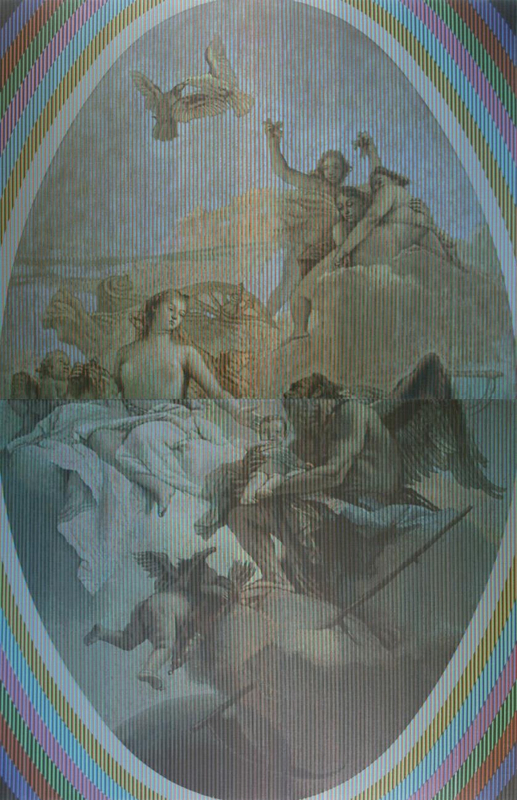 The restoration of the Col·legiata de Gandia was carried out throughout ten years (1999-2009) with the help of the citizens, the Valencian Department of Culture, Savings Bank and Tourism Board. This means an outstanding example of collaboration. It is the most important historic building of the city; it was declared historic artistic monument in 1931. It was started back on the day by the royal dukes and the Borgias finished it with several distinguished artists like the Forments, Paolo da San Leocadio, Joan Franch and Pere Compte. It is a full restoration –except for the apse–, from canopies and façades to the insides, that shines nowadays as never before. The second work is the entrance building of the Santa Teresa de Jesús school in el Vedat, Torrent; it is a recent work (2015-2016) and is an addition to a pre-existing school. It contains an assembly hall and administration and services in a separate building. The building is open and covered, as a big porch. It is beside the pines and works as an entrance, playground and shelter. Tuesday through Friday, from 10:00 to 14:00 and from 16:00 to 20:00. Sundays and public holidays, from 10:00 to 14:00. Closed on Mondays. AUGUST: From Tuesday to Sunday, from 10:00 to 14:00. Closed on Mondays.